Who's to blame for Joburg firefighter deaths? 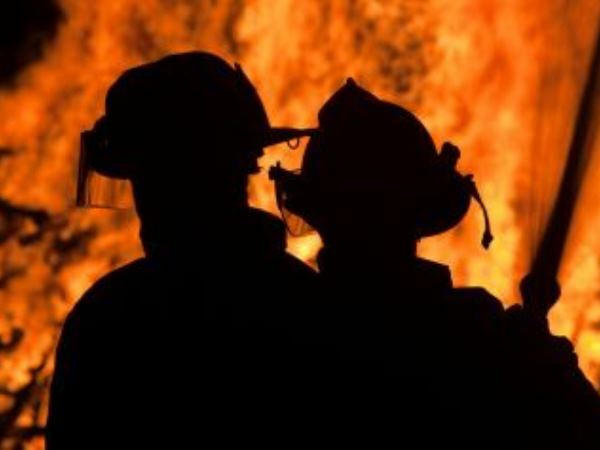 An investigation will be conducted to determine whether an incident commander is to blame for the deaths of two firefighters killed in a blaze in Johannesburg last weekend. "There were allegations that the incident commander might have flouted the rules... we are clarified to say that at the moment, [but] we cannot conclude that because... we don't know what happened," said Robert Mulaudzi, Emergency Management Services [EMS] spokesperson in Johannesburg. "The only time we will know is when we get the report of the full investigation," he said. Meanwhile, Incident Commander Thaba Ace Mogano was expected to hand in a report detailing what led to the deadly incident. Mulaudzi explained that there had been many allegations and much speculation surrounding the deaths of the firefighters. One of the allegations was that the two did not have proper equipment when they responded to a fire in the basement of a Johannesburg building on Saturday night. Mulaudzi said these allegations were not true. Mulaudzi was speaking to reporters at the Standard Bank arena on Thursday afternoon following the memorial service for the two firefighters, 50-year-old Daniel Zwane and 34-year-old Michael Letsosa. During the memorial services, the scores of firefighters attending the ceremony embarrassed the EMS management and shocked the families of the deceased men when they seemingly placed blame on some of their bosses for the deaths of their colleagues. Dozens of firefighters seated on benches at the arena turned their backs on chief of EMS in Johannesburg, Tshepo Makola, as he tried to deliver his address. Wearing T-shirts with pictures of their late colleagues on the back, the group faced the wall and erupted in song. They sang "Senzeni na" - meaning what have we done - while clapping and stomping their feet. Calls for the firefighters to take their seats fell on deaf ears as they sang throughout Makola's address. Mulaudzi said the incident was unfortunate. "I think we need to apologise to the families for the conduct of the firefighters today [Thursday]. We feel that even if they do have differences, this was not the right platform [to address them]. "We missed the opportunity to send our brothers away with dignity," Mulaudzi said, adding that the concerns of the firefighters would be addressed. During the memorial service, Zwane and Letsosa's colleagues took to the podium where they explained how their colleagues died. The driver of the fire engine, Sello Sello, said there was a lot of recklessness on that day. He spoke of the guilt and self-blame he felt about having driven his colleagues to their deaths. "Letsosa called me from inside the scene. It was the first time that I had ever heard anything like that in my life. He said to me 'Sello, I am dying'. It was like a dream when I heard him as I sat in the fire engine. He said 'I can feel my soul leaving me'," Sello said in Sesotho. He considered resigning but thought it would not be right to do so without revealing what had happened to his colleagues. He said he would not point any fingers, but hoped and prayed that the person responsible would eventually come clean. Another firefighter, Tumi Ramotala said he had initially gone into the burning building with Letsosa. He and a few others investigated the building and came out safely. "Suddenly, something went wrong. Things went in a way we were not expecting," said Ramotala. "We went in the first time. We investigated as much as we are meant to do and we came out. They got orders from their superiors to go back inside... That was the last time we saw our brothers alive," Ramotala said. He explained that one firefighter came out and told them that two firefighters were down. It took hours before they were found and brought out of the burning building. The two had already died from smoke inhalation. It seemed as if the families of the two firefighters had not been fully informed of all the details surrounding the deaths of their loved ones. A relative of Letsosa took to the podium and said he welcomed the revelations made during the service. Informing mourners of the details for Letsosa's funeral, he said the government should not be burying soccer players and neglect to bury people such as firefighters who died in the line of duty. The two men would be buried at the weekend.